1.45PM: A READER who has been involved with basketball for 61 years says this photograph is of the first Rockhampton team to compete in a Queensland championship. Brian Smith (pictured below with two of the players last year) says the team, consisting of Frank Haack (11), Bruce Roggenkamp (9), Keith Ireland (4), John Hegvold (5), Paul Hegvold (13) and Neil Kane; played in the championship in Toowoomba. He says the competition was held over the Queen's Birthday weekend. "The chap kneeling is Frank Howie. Frank was coach. 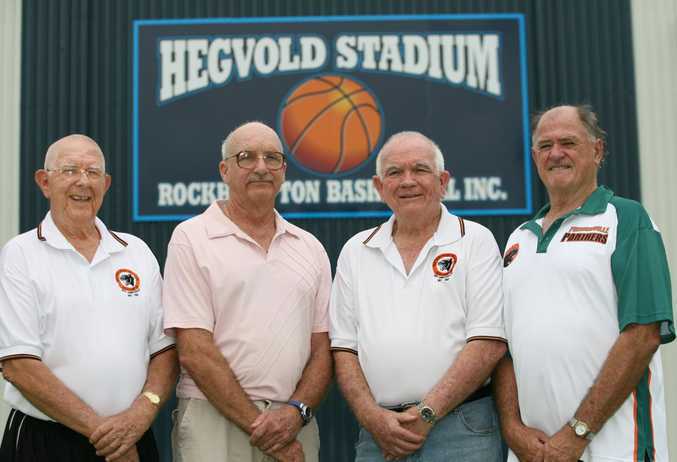 He was also elected secretary of the Rockhampton Amateur Basketball Association when it was formed in March 1962," Brian says. Peter Egan added to the story by informing The Bulletin that Paul, John and Frank went on to play for Queensland in the 1960s. Meanwhile Kiddy Bolger of Lammermoor Beach says he and John did senior at Rockhampton High School in 1955 and that the stadium (in the picture below behind the basketballers) was named after John's father (an architect), Eddie. 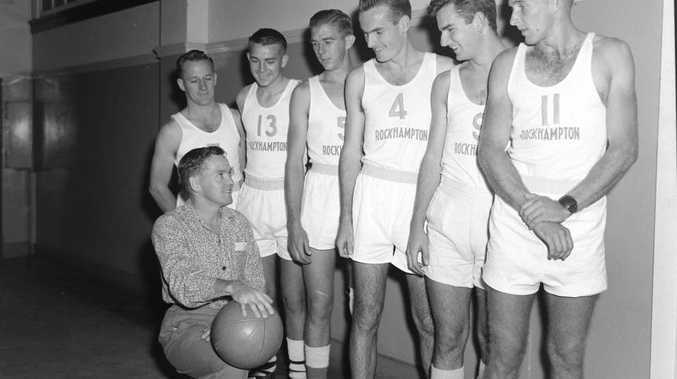 6am: IN THEIR high-cut sports shorts and Converse high-top sneakers, a Rockhampton basketball team cast their eyes down at a man with a ball on his knee. The Morning Bulletin is after any information on who these men are. This photograph is a part of a new series The Morning Bulletin is running called From The Vault. 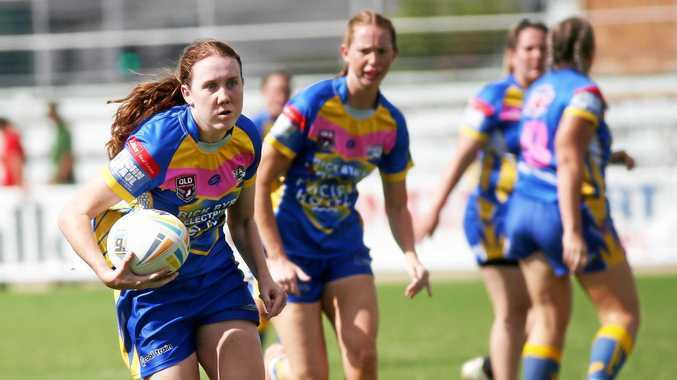 If you have any information email our chief photographer at Chris.Ison@capnews.com.au.